The editor of the 'New York Review of Books' championed the life of the mind. I was working in telesales in the middle of England when I first started reading the New York Review of Books. I didn’t know how it started or who made it, but I knew it was unlike anything I’d ever read. 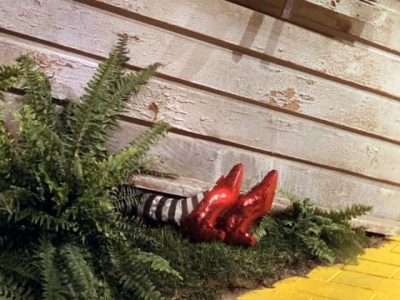 A novel might transport you a long way out of your life; but when it ended, your life would land unceremoniously on top of you again, like the house that lands on the witch in the Wizard of Oz. The Review was different. The pieces let you stay in the transported place a little longer, so you could figure out what you thought, and maybe even argue about it. It allowed you to make a habit of caring about ancient Crete or Fernando Pessoa or Isaiah Berlin. Whoever and wherever you were, you got to live a different sort of life. Many of Bob’s editorial pronouncements came with an exclamation mark. Most frequent was his reaction to a particularly good draft. “It’s a hot piece!” he’d cry out, looking up from his desk in delight. His profound conviction was that if a review made him feel that way, then others would care about it too. “I believe in the writer—the writer, above all,” he told Mark Danner in an interview marking the Review’s 50th anniversary. “That’s how we started off: admiring the writer.” While the cadre of contributors skewed older and highly credentialed, the impulse was egalitarian. The point of subscribing to the Review was to watch someone who had an interesting mind as they thought through a subject. And if the article was clear and gave enough background information, then anyone could read it. His profound conviction was that if a review made him feel that way, then others would care about it too. Perhaps for this reason, Bob was proud of the fact that the Review had been profitable since 1967. Serious writing and thought, he knew, wasn’t a hopeless but honorable pursuit; for the Review’s subscribers it was an essential part of life. An intellectual magazine with a larger, more devoted readership than many lifestyle publications—he proved that was possible. During the years I worked at the Review, our rituals were Bob’s rituals and our vocabulary was his—carefully edited—vocabulary. We flinched at empty descriptors like “compelling” and “massive,” words that Edmund Wilson had once frowned upon. Bob kept up the tradition. We would dive for copies of Fowler’s Modern English Usage and affix stern, photocopied entries to our editorial memos. The hardest words for me to let go of were “context” and “in terms of.” Once you stripped those away, you had to think about how one thing related to another (sometimes, you discovered, it didn’t), and struggle to articulate it in more concrete language. At the office, we rarely used the word “magazine.” When it wasn’t just “the Review,” Bob called the New York Review of Books a “paper.” Although it is a biweekly that frequently treats timeless subjects, this made a sort of sense to me. Of course, the Review does not—with some notable exceptions—break news on current events. But it does serve as a regular report on ideas, which form and unfold at a much slower pace, and which describe the larger pattern of events. For his achievement, some obituaries have described Bob as magician-like, which strikes me as wonderful description that is only partly accurate. His work was more complex and laborious than most people saw. David Cole wrote on Twitter yesterday that Bob built the magazine “with his bare hands” and that sounds about right. He routinely worked late into the night, seven days a week, from behind a huge horseshoe-shaped control pad, piled disastrously high with manila folders. It was not unusual to arrive at the office in the morning to find a haystack of memos in his outbox, and a desk strewn with blunted pencils and exhausted Wite-Out bottles. If the Review was a rare place you could find rigorous thought, Bob made it that way not by magic but through an unwavering commitment to independence. He had complete editorial freedom and he troubled to exercise it. Even after five decades, he enjoyed feeling the urgency of his task. “We’re in a storm of books!” he warned me at my interview. The hundreds of review copies on the office shelves looked perfectly ordered. I suppose he was thinking about what the books themselves said—and who could write about it?